Piece by Pablo Abufom about the current political situation in Latin America. Pablo Abufom is a translator in Santiago, Chile and is active with Coordinadora Nacional de Trabajadores NO+AFP, a social movement for a new public pensions system, and Centro Social y Librería Proyección, a bookstore and community space for social movements in Santiago. He is a member of the political organization Solidaridad. Originally published by Black Rose Anarchist Federation. When faced with complex and painful phenomena, poetic metaphors and comparisons flourish. Regarding the current political situation in Latin America, I too want to add to the current rain of metaphors. 1. 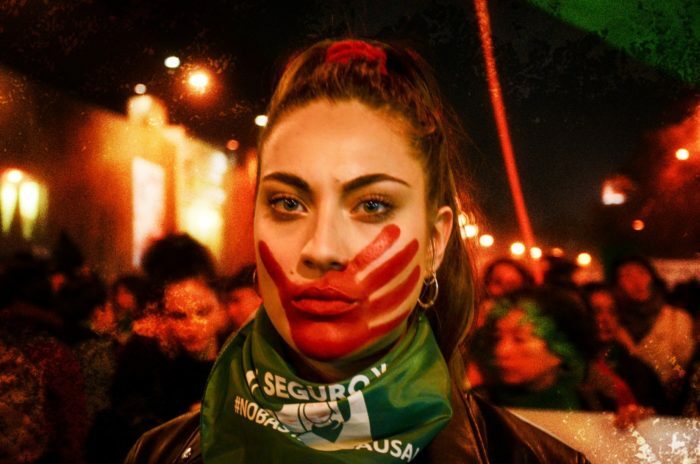 The new growth of right-wing politics, evangelical conservatism and neofascist grassroots movements in Latin America is like a resistant fire that will not be extinguished only by attacking it head-on, but by drowning it, and eradicating the oxygen that gives it life. That oxygen, in the first place, is the swampy situation of our economies, which is not resolved with another “productive model” (extractivism bad versus hi-tech progressive industry good), but with another way of organizing work and property, where the creative forces of labor are freed from their seclusion and conquer the power to decide what to produce and how to produce it. 2. Its oxygen is also the crisis of sexual relations within the working class, which is not solved with a gender focus for the same patriarchal relations, but a comprehensive transformation of the mechanisms that produce gender in the streets, at work, at home and in bed. This crisis is sharpening today in the context of that general economic crisis, but it survives periods of boom and bust. The first line of that battle is against violence directed at women and LGBTQ communities, and it should be able to project itself towards a practical critique of the sexual division of labor as a pillar of capital accumulation. 3. The instability and precariousness of our lives quickly leads to fear. The new rise of conservatism is a very specific way of organizing that fear: the hateful competition between sectors of the working class. The most direct source of oxygen for its fire is also the set of social, political and economic conditions that precarize life. As well as the impossible promises toward the “middle class” and the small and medium businesses (famously fearful layers) that are not able to compete with the gigantic scale of transnational capital. 4. The struggle then is not only against the neo-fascist groups, the conservative churches, the bourgeois press and the far-right governments. With that we will only be able to resist things getting worse. In this difficult time, our defense must be made of “well-directed blows” that move us as far forward as possible. 5. Without despair, but without lowering our guard, we need to concentrate as much energy as possible in drowning that fire, and deal without reservations, without fear of being labeled as this or that, each of the problems facing our peoples. We need to build as we walk, in the most participatory manner possible, the socialist and feminist program and tendency at a continental level, which would make it possible to organize ourselves as the international and plurinational class that we are. Towards a program and a tendency of hope for our peoples. Previous post: #Portugal: Centro de Cultura Libertária needs your support!